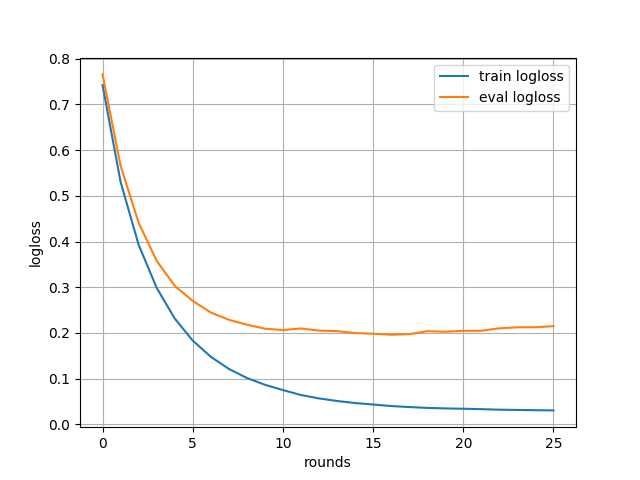 Multiple eval metrics have been passed: 'eval-logloss' will be used for early stopping. 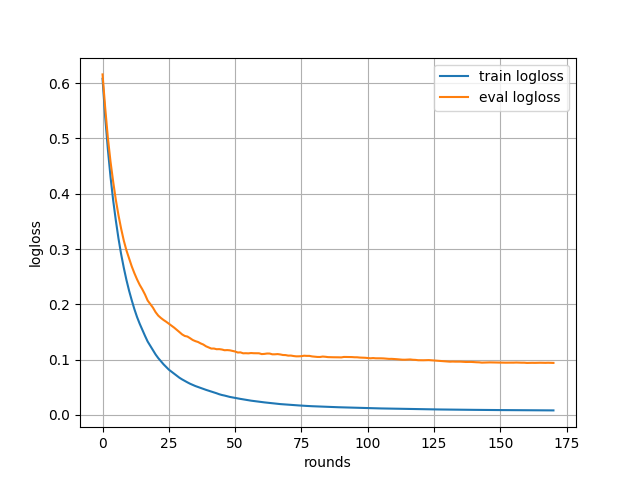 Will train until eval-logloss hasn't improved in 10 rounds. 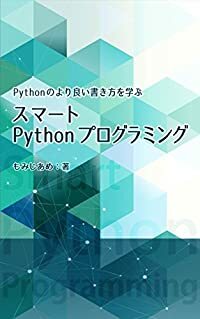 """XGBoost の scikit-learn インターフェースを使ったサンプルコード (二値分類)"""
Multiple eval metrics have been passed: 'validation_1-logloss' will be used for early stopping. 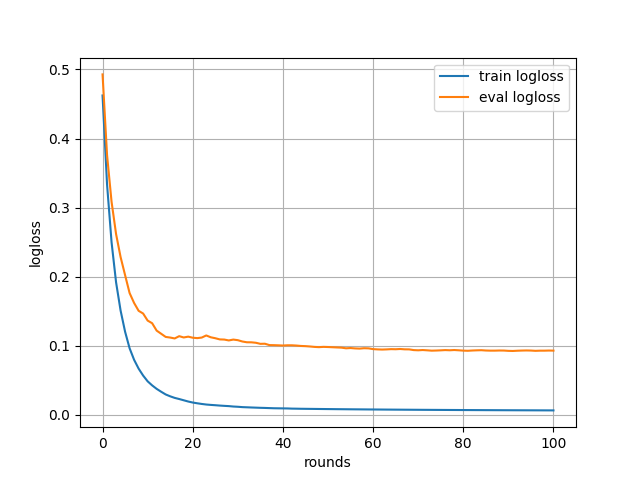 Will train until validation_1-logloss hasn't improved in 10 rounds. 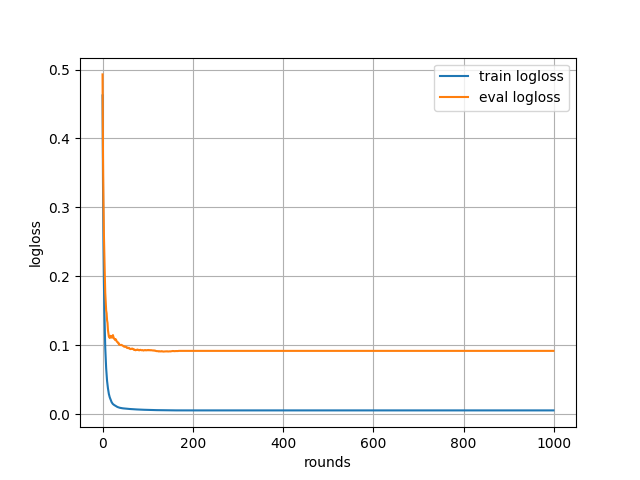 Multiple eval metrics have been passed: 'eval-mlogloss' will be used for early stopping. 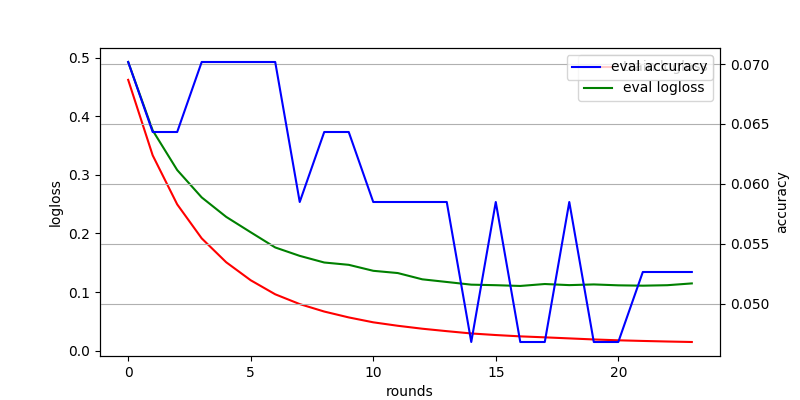 Will train until eval-mlogloss hasn't improved in 10 rounds. Multiple eval metrics have been passed: 'eval-rmse' will be used for early stopping. 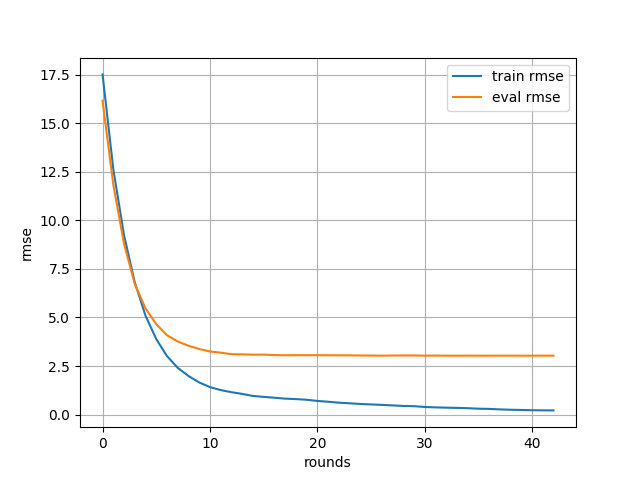 Will train until eval-rmse hasn't improved in 10 rounds. Multiple eval metrics have been passed: 'eval-accuracy' will be used for early stopping. 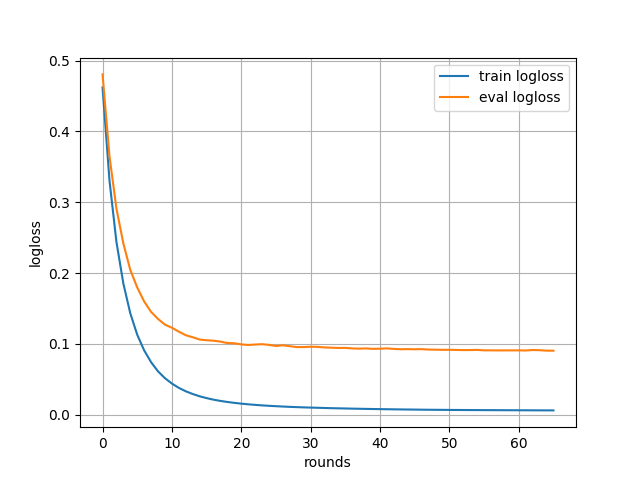 Will train until eval-accuracy hasn't improved in 10 rounds.